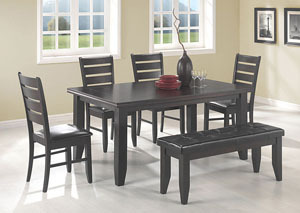 Elegant Dining Room Furniture at Prices You Will Love! 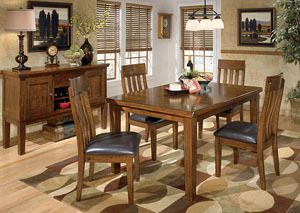 Your dining room is one of the most frequently used rooms in your home. It provides the perfect space to share family meals, host holiday celebrations, or simply sit down for a nice chat with friends. Considering the central role your dining room plays in your home, it is important that you furnish it accordingly and fill it with furniture that is not only pleasing to the eye, but will also stand the test of time. 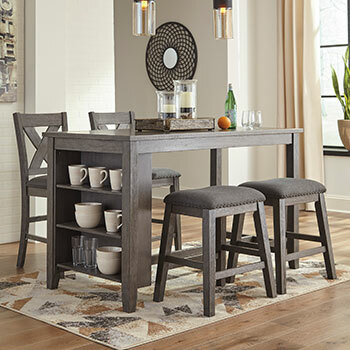 At Furniture Distributors, we are pleased to provide a diverse assortment of dining room furniture that is sure to provide the style, comfort, and durability that your dining room needs. 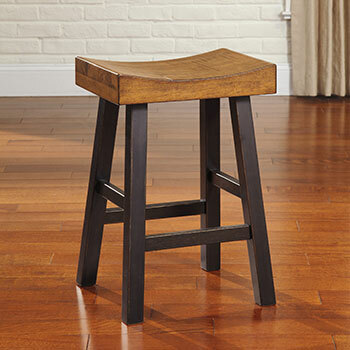 Learn more about the quality furniture selections that we have to offer. 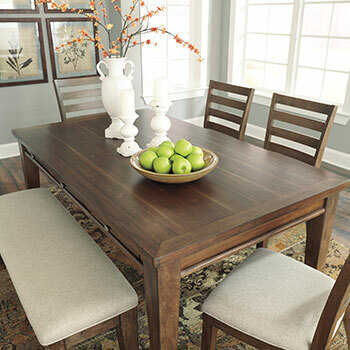 Your dining set will serve as the focal point of your dining room décor, so take time to select one that expresses your unique sense of style. 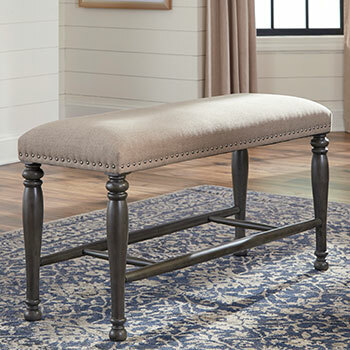 Whether you prefer ornate traditional furniture or contemporary furniture with sleek and streamlined designs, we can provide you with a wealth of options that you are sure to love. 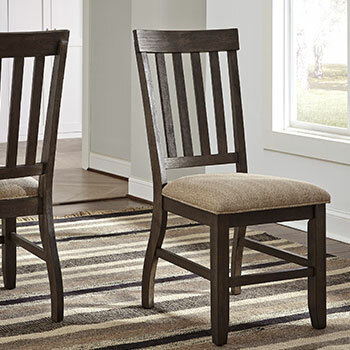 All our dining sets are made from sturdy materials—including wood, steel, and faux marble—and each one comes with a complete set of finely-designed dining chairs or dining stools. 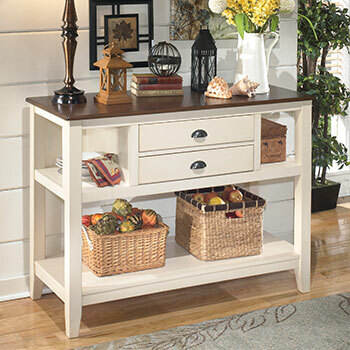 If you have a large family or entertain often, you may want to consider purchasing a piece of dining room serving furniture. 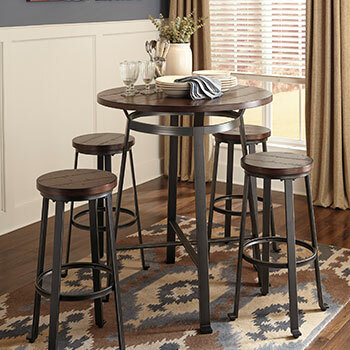 Our versatile dining servers are perfect for setting up buffet-style dining and their spacious countertops will free up much-needed table space during group dinners. Have a set of fine china you would like to put on display? 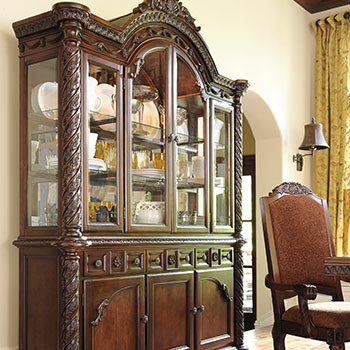 Purchase one of our elegant china cabinets, which can also store your stemware, tea sets, or anything else you would like to show off to your guests. 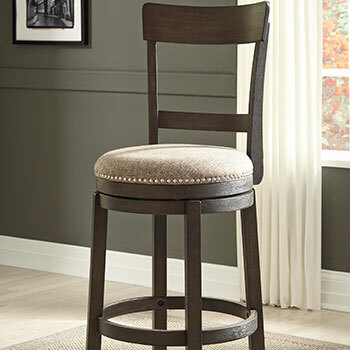 Shop Our Complete Dining Furniture Collection Today! 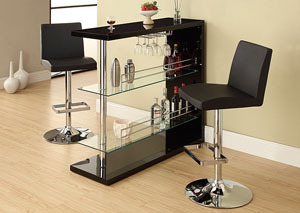 In addition to these great furniture selections, Furniture Distributors also sells bar tables, wine cabinets, and so much more! 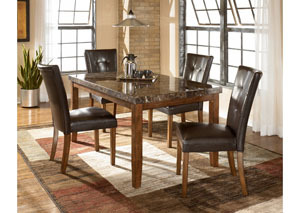 To view our complete dining room furniture collection, shop with us online or visit us at our brick-and-mortar furniture store. You can visit us in Greenville, NC or at any one of our numerous locations throughout North Carolina. We look forward to serving you!